This super cute printable Halloween math pack features counting, number tracing, and basic addition – perfect for Pre-K through 1st grade! Kids love these fun holiday themed lessons! 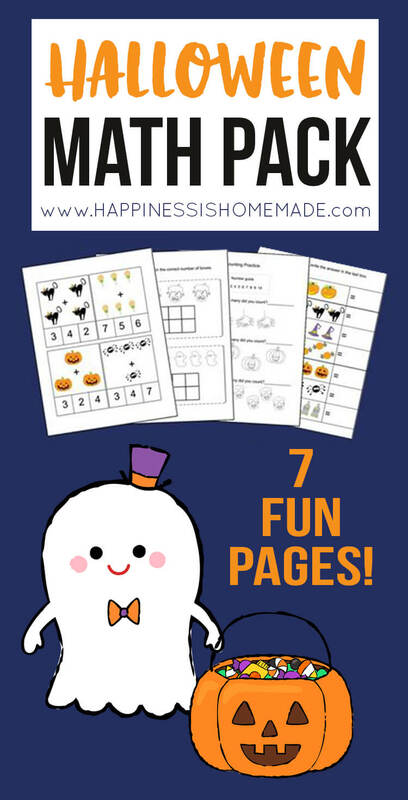 Halloween is just around the corner, and these fun math printables are great for your little ghouls and goblins! 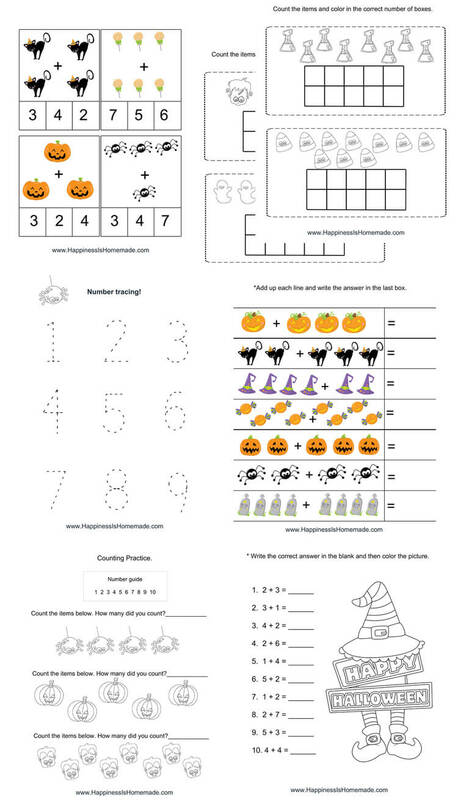 This printable Halloween math pack contains seven pages of basic math including counting, simple addition, number tracing, and coloring. Tons of fun! 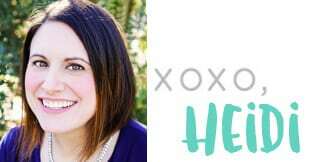 Would you like to see more educational printables on Happiness is Homemade? Leave me a comment and let me know which grade levels and subjects you’d be most happy to see! 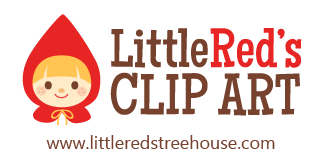 Clipart by Little Red’s Clip Art and Pretty Grafik Design.